This is as close to the perfect Hybrid Tea ever hybridized by Star/Meilland Rose Company. It has everything, color, shape, fragrance, vigor, repeat, vase life. Only thing missing is the resistance to black spot. 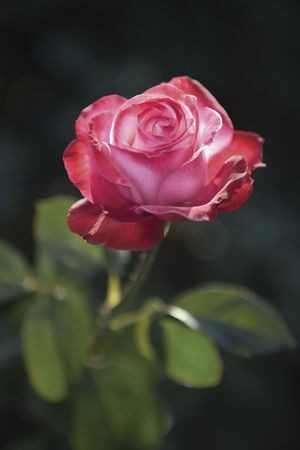 This rose is sure to make a statement in the Western gardens. Deep pink, lavender undertones. Strong fragrance. up to 80 petals. Large, very full (41+ petals), exhibition bloom form. Blooms in flushes throughout the season. Height of 5′ to 5′ (150 to 165 cm).